Early last year, Twitter kicked off its Translation Center efforts in hopes of bringing support for more languages to the site with help of amicable volunteers from all over the globe. Naturally, this has helped the renowned Blue Bird network immensely during its global gibberish quest, having added compatibility with right-to-left idioms since the program started and, more recently, Ukranian and Catalan. To make things even better, today Twitter's announced it's now available in a few more, including Basque, Czech and Greek -- which means that a simple trip to account settings can now translate your current 140-character experience into one of the aforementioned languages if you so choose. Twitter's Translation Center is open to anyone willing to lend a hand, so those interested in helping the cause can pay the more coverage link a visit to learn how to get involved. Twitter announces it's now available in three more languages: Greek, Czech and Basque originally appeared on Engadget on Tue, 07 Aug 2012 03:48:00 EDT. Please see our terms for use of feeds. Two of the world's most hallowed libraries are about to get even quieter, having been given $3 million to go with the flow and put some of their oldest collections online. 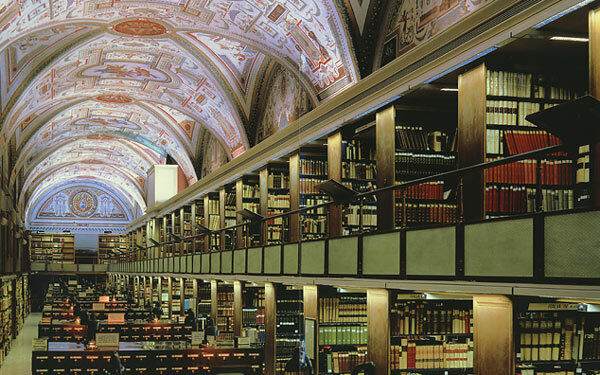 The Vatican Library and Oxford University's Bodleian Library will together offer up 1.5 million pages of hoary text, including Gutenberg's Latin Bible from the 15th Century, a 1,200-year-old Hebrew codex called the "Sifra," and enough Greek philosophy to make even Homer seem succinct. At the end of a five-year flatbed scanner marathon, these digital copies will be accessible to speakers of dead languages everywhere, and hopefully for less than sacrilegious prices. Vatican and Oxford libraries scan ancient works, let scholars stay in their armchairs originally appeared on Engadget on Mon, 16 Apr 2012 07:31:00 EDT. Please see our terms for use of feeds.